I took this photo in HK last year while traveling. 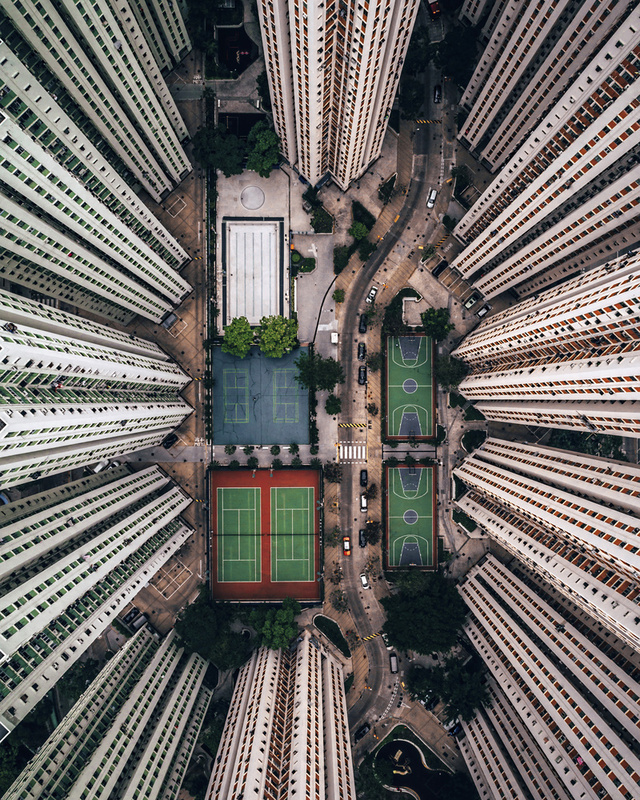 The immense structures that house so many people give a glimpse of the compact nature of HK's living conditions. It is a very nice picture but as has been discussed on other forums, was obtained illegally and unsafely. Is it legal to fly a drone in Hong Kong..? "It is a very nice picture but as has been discussed on other forums, was obtained illegally and unsafely." Amazing- love the red to the right and green hue on the left. There are currently no drone laws in Hong Kong except that you can't fly near the airport, in Victoria Harbor or above the prison. Only drones that weigh above 7kg need to be registered. There are guidelines that advise pilots to stay 50m away from buildings, people and vehicles but as of now, they're merely guidelines. Wow, happily confused first =) So great picture. amazing! did you take it from a helicopter? Thank you! No, it was a drone shot. Awesome photo for sure but why is everyone complaining about it being shot illegally? Haven't we all "jumped that small fence" or "crossed that property line" at least once for that awesome shot we wanted? We aren't police, especially HK police so why not just enjoy the damn photo and not worry about how he got it. Again ,awesome shot man! The lines are perfect!